Leading Manufacturer of flood light led adapter from Delhi. 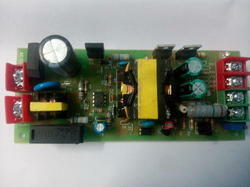 Adapter / Drivers for Floodlight are highly manufactured and supplied by us. All our products consists of a warranty of one year against any manufacturing defects. Clients can procure these products as per their specifications which are manufactured using quality material and are tested on several parameters to ensure their flawlessness. Looking for Adapter For Floodlight ?